In my scripted performances, I often present a spoof of art history. Having completed a serious series of lectures on Humor in Western Art for the Katonah Museum of Art, I was anxious to incorporate some of my research into a monologue. 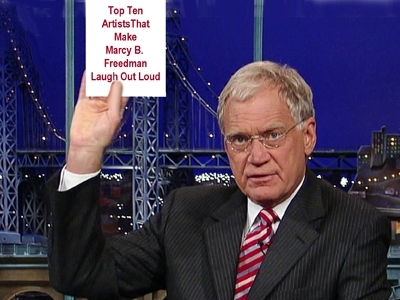 Using David Letterman’s format of The Top Ten, I constructed a very funny performance about my favorite funny artists. The results made me and my audience laugh out loud.